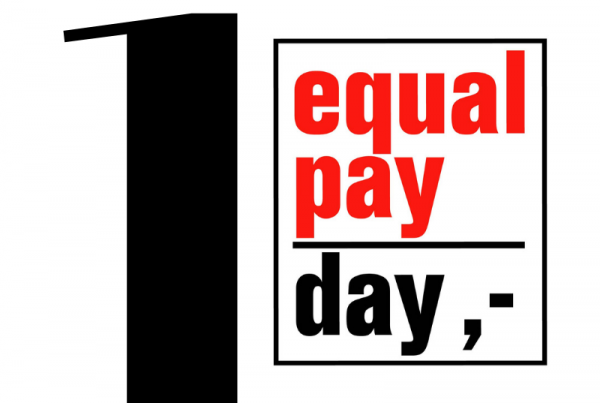 Equal Pay Day raises awareness about the gender pay gap. For instance, in the Czech Republic, the difference of wages earned by men and women is around 22%. What factors do you think might contribute to that difference? Pinella Bombaci: As everything in our lives, the pay gap, in my opinion, rooted in our culture. If you’d take a historical perspective, you would see that women were the ones who always took care of families, while men were working and providing for them. For hundreds of years, this order put women in a position of dependency on men. Pinella Bombaci: If you’d look at the present moment – you’d see that women continue to undertake a greater share of unpaid caring duties within households, and are therefore more likely to work part-time or not work at all. And while the men’s jobs are paid at a higher rate, women’s share of the nation’s wage bill is even less than is implied by the pay gap. But, step by step, women change this situation. They are finding the strength to rebel and oppose stereotypes. We, at the BPW, are supporting our members and women not only in EU but also in Africa and Asia. In many of those countries, there is not only a huge pay gap, but women experience discrimination and are denied equality. Do you think that’s the women’s role as the “primary caregiver” is necessary to change (or it’s likely to change) – and if such a change might produce some benefit to everybody? PB: In my opinion, it is not necessary to change, or abandon this role. I think that this is really important that women maintain the role of caregivers. We, women, have the intelligence of the hearts and we can share it with our families, in the workplace, and in the society. The heart intelligence is what gives us the ability to be real, present, connected and heart-directed in every area of our life. With this, we can experience greater levels of performance, creativity and ultimately greater satisfaction in life. But, the role of caregivers can’t limit the movement of women’s empowerment. And I think that where the change really comes from – is from the government. There should be a will to make the change, there should be an interest in creating opportunities for women, to support women in their roles in the workplace and in the society. This support will allow women to maintain their role of caregivers, without sacrificing other parts of life. It will allow them to keep sharing the power of love, which everyone needs: men, children, all people. We, women, have the intelligence of the hearts. The heart intelligence is what gives us the ability to be real, present, connected and heart-directed in every area of our life. In your opinion does it become easier or harder in some ways for women in the workforce? Are women better at bargaining on salary or flexible hours? In a sense, it became easier, because of availability of educational programs. For example one of the cornerstones of the BPW clubs is the Personal Empowerment Program, which supports women in developing their leadership potential and motivates them to focus and reach their goals. One of the modules of the program is teaching women negotiation skills, necessary not only when they enter the workforce, but throughout the career – ability to negotiate flexible hours, better salary and benefits. 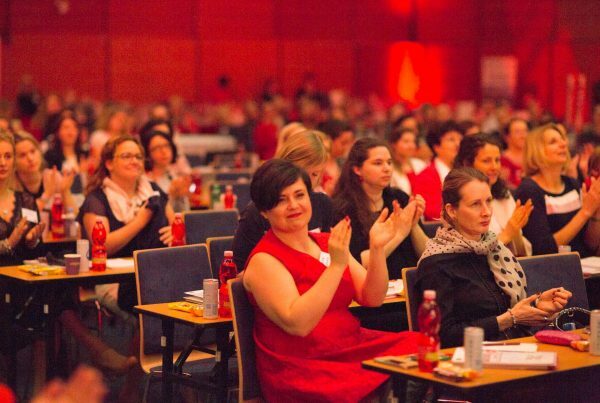 One of BPW associate Conny R Montague will present and give the workshop on the Art of Negotiation in the workplace in the next symposium in Wien. It is very important that we not only theorize about problems and the reasons why these problems exist but show practical ways to solve them, so participants can learn skills they need to tackle these problems. Harvard University, Henry Lee Professor of Economics Claudia Goldingwrote about “quiet revolution”. The term defines a change in how young women perceive the courses their lives are going to take. Their perceptions of their futures, their own aspirations, began to change. And so their expectations about being in the workforce. The “revolution” started in 1968 in the US. Now it is 2018 – Do you feel like we’ve seen progress? PB: When I say that women are step by step changing the tradition, it is to say that there is this quiet revolt. When I talk to young women, I see how different they are in comparison with women of my generation. Today, women become citizens of the world, not limited by countries of their origin. They embrace life without borders of prejudices of religion, nationalities or political systems. And I am sure that we all realize that the more open we are and the more we work towards our dreams, the better our future becomes – without wars, prejudices and religious intolerance. 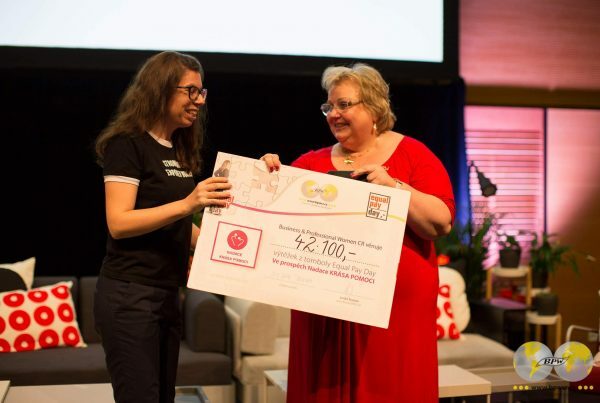 This is exactly what Equal Pay Day Women to Themselves Conference in Prague with 1.400 women attending the event, shows us – the progress is real. What is your role in the BPW Europe? eighteen thousand members all over Europe. PB: I ensure that there is always a clear and constant flow of communication both internal and external. I arrange coverage of the BPW events, and I am fully involved in the everyday process of organization of these important events. Even though I have been used to a heavy workload since the time I worked at the Ministry of Finance, but it can’t compare with the workload I have at BPW! But, working for BPW is my passion. I admit, it is a lot of work, but it gives me tremendous satisfaction as I see the positive impact it has on lives of many women. It also allows me to meet and build relationships with amazing people from all over the world. Currently, my focus is on the implementation of steps that will support BPW clubs in the eastern countries. For example, later this year, in October I will be in Moscow attending the 25th anniversary of the BPW Russia. This is going to be a big event with the members of Moscow and St.Petersburg clubs coming together. I cordially invite everyone to join and help us celebrate the anniversary! Giuseppa (Pinella) Bombaci is an active member of the BPW Club Livorno, Tuscany, Italy since 1993. In 2017 Pinella was elected BPW Europe regional coordinator, member of the BPW International Executive. She is the author of the new Constitution and bylaws of Fidapa BPW-Italy. In her impressive professional career, Pinella served as the regional director of Tuscany and Liguria and was co-director in Rome. She is a Professor of the administrative law of the High School of the Ministry of Economy, Italy. For her outstanding professional commitment, Pinella Bombaci was rewarded with the honorary title of “Commander of The Order of Merit of the Italian Republic”.